Recently I was looking for a way to make some cool rusted metal text in Photoshop, and after searching through a few metal text tutorials on Google I decided that all of them were garbage. So I messed around for a while and created my own. Start out by making a fairly large document. The texture we are going to make will look better when we size it down. I created a 2000x2000px document. Now type the word BRUTAL in all caps. Use a thick font (I used Tahoma). I set the font size to 200 point and I set the color to white. Now that you have your big word, look in the top image menu and select Trim. Trim based on Top Left Pixel Color and leave all of the boxes checked. Then create a new layer, place it underneath your text and give it a dark color so we can see our text better. 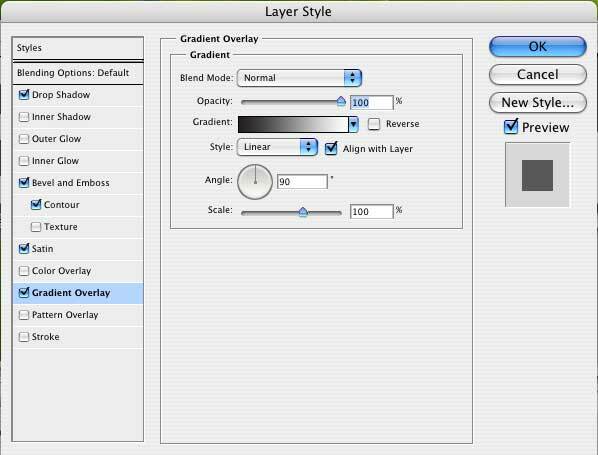 Now we’re going to set some layer styles. So double click the text layer and the layer styles window should pop up. Copy the settings in these images. This looks pretty cool in and of itself, so why don’t we go ahead and save this as a style so we never have to remember those settings again? Go to Window > Styles and you should see the styles palette. Now while your text layer is selected, click the new style button, and your new style should appear as a swatch in the palette. Whenever you want to use this style, just select your layer and click on the swatch for instant brutality! Select the alpha channel of your text layer by Ctrl+clicking on it, or Cmd+clicking it if you are using a Mac. Then create a new layer above the text layer and fill it with black. 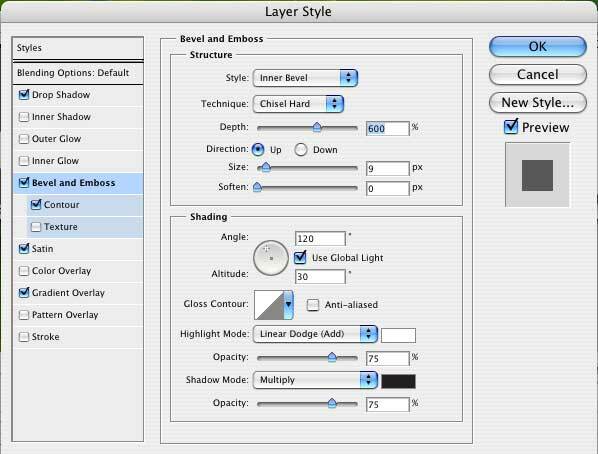 In the menu, go to Filter > Render > Fibers… and adjust the settings to your liking. The defaults are fine for what we are doing. Press OK.
Now set the layer mode to Soft Light. The key to making a good texture is to use a real texture. 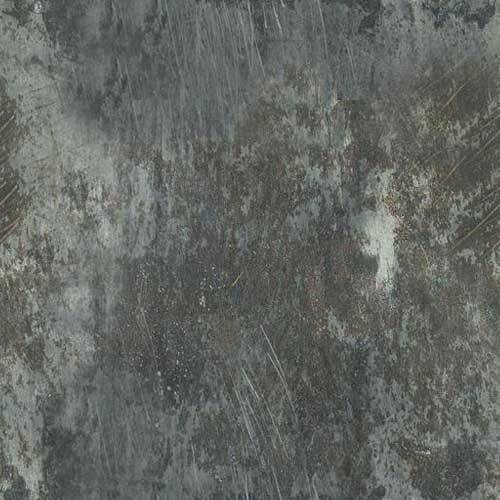 I feel that when people try to draw their own with the paintbrush or with filters, it often looks cheesy (unless you are very good or spend a lot of time), so I used a photograph of some real metal (I’m not sure where I got this texture from; I downloaded it from the internet many years ago). 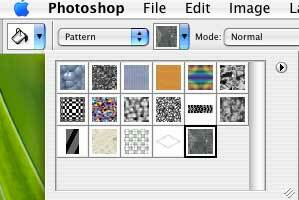 Open the texture in Photoshop, and in the menu, select Edit > Define Pattern. 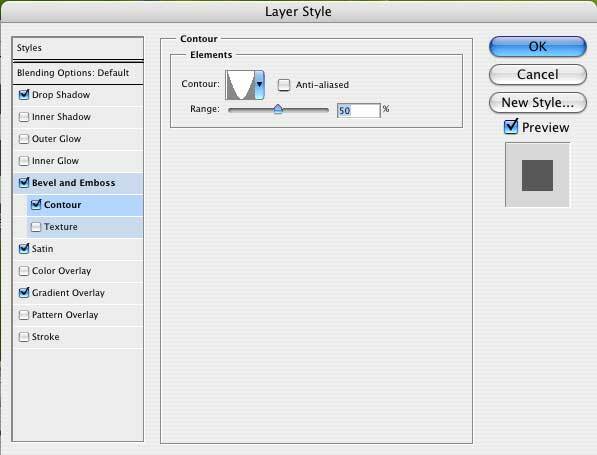 Now select the alpha channel of your text layer again and create a new layer above your fibers layer. 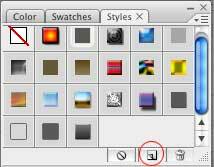 Select the paint bucket tool (shortcut is the G key), and change the fill type from foreground color to pattern. Then select your new pattern. Fill the selection with the pattern. Then set the layer mode to Screen. Create a new layer, select the alpha channel of the text layer again, and Hit Filter > Render > Clouds. Now run Filter > Render > Difference Clouds until you get some good variation between black and white. Now set the layer mode to hard light. In the menu, Choose Select > Modify > Contract. Contract your selection by five pixels. 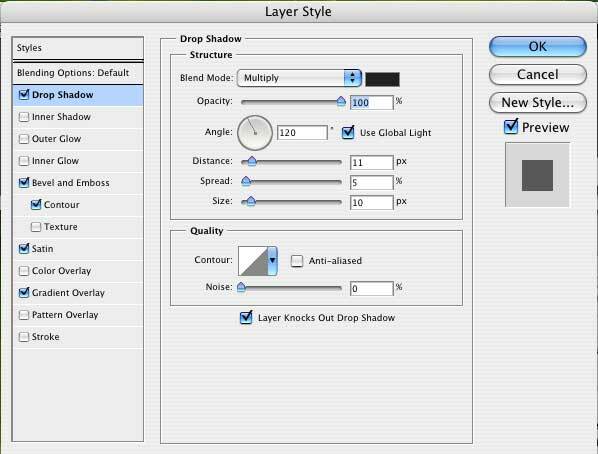 Now go to the layer menu, and select Layer > Layer Mask > Reveal Selection. Next I created another clouds layer, using the exact same steps as above, only with different clouds. I set this layer to hard light as well. My clouds were a little dark and somewhat obscured the light source. If you have the same problem, go to Layer > Layer Mask > Reveal all. Then select the layer mask, and use the paintbrush tool to paint black over the dark parts. 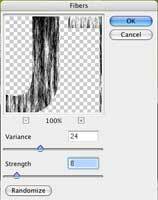 Or just use the eraser tool with a low opacity setting. Our metal text is looking pretty grim now, but there are a few more things we can do to spruce it up. 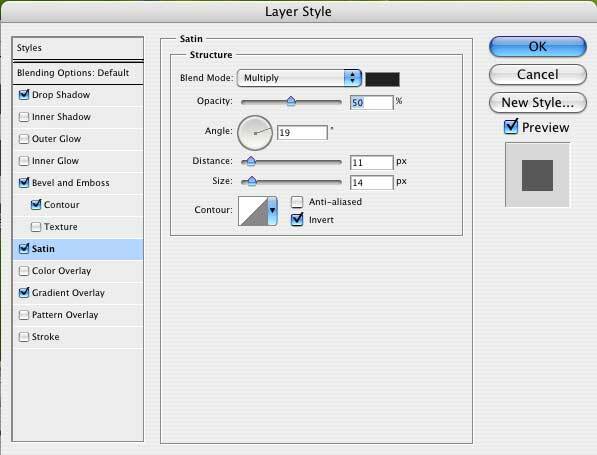 First, Go to Layer > New Adjustment Layer > Curves. 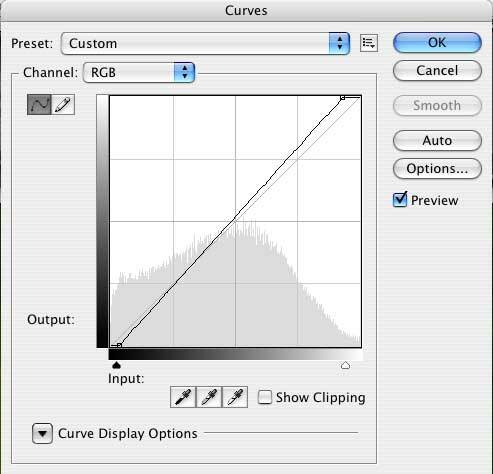 Press OK.
Use these settings for your curves. We want to make the lights pop a little bit more. To give the texture a bit more dynamic Range, I selected the texture layer and gave it a gradient overlay. For the gradient I used some low saturation greens and browns. I set the gradient overlay layer mode to ‘Overlay”. Frickin’ Sick bro! It’s almost enough to make you start a circle pit and dance like a drunk ninja. Or not. Try a few things and see what you can come up with. Most of this metal font tutorial was accomplished through trial and error. long time ago. (2002) I created a Photoshop Style called “Rust Styles” and uploaded it to the Adobe Exchange. I believe it’s still the third highest rated layer style on the website.